Dimensions (mm): 660H x 50W x 50D. Constructed from 50 x 50mm hollow section steel 3mm thick. 200mm engagement into the ground. Bright yellow highly visible powder coated finish. Integral high security 10 pin push lock. Stands 460mm above ground when installed. Hitch ball welded to top of post. 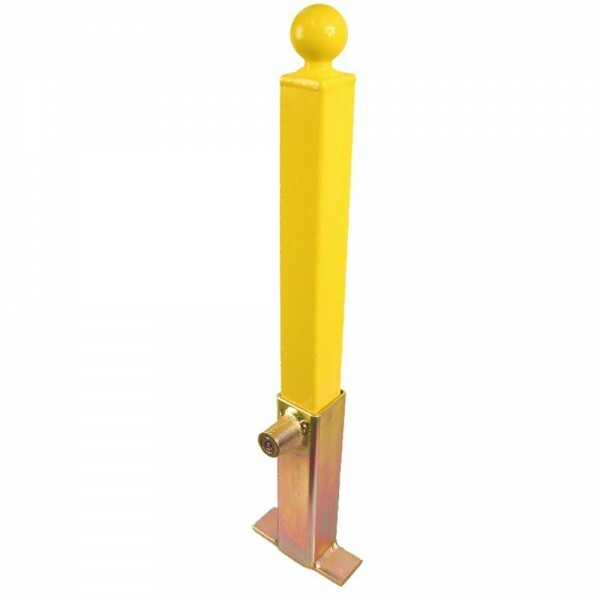 Can be used in conjunction with a Bulldog Mini Lock to lock the trailer/caravan to the post. (Note: Special bottom channels are required for Bradley and Rice Mini Locks to allow for fixing to post) British manufactured and sold with Bulldog 5 year Guarantee.